Although there's lots of companies out there that now do headboards and beds alongside other items. We are happy to say that we specialise in bedroom furniture. We believe in quality not quantity hence why all our items are made inhouse so they can be made to the highest specification and checked before dispatch. Every single headboard is made by our inhouse expert woodworkers and upholsterers. It is then packaged in custom made packing and dispatched once we have liaised with you. Because our headboards are made to order we can manufacture bespoke headboards based on your individual needs. We can build headboards at heights between 24-48 inches and at a range of widths. This is ideal for people working with USA or EU bed sizes or customers that need to accommodate light fittings, plug sockets or fitted wardrobes. 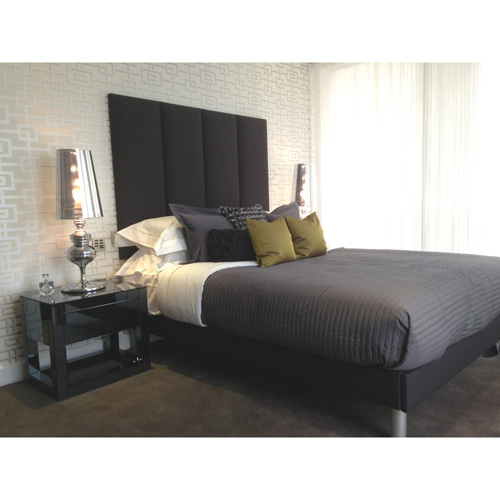 We have over 30 stunning contemporary headboard designs to choose from. You can customise your designs with button arrangements, including Swarovski Crystal buttons, and panelling for a truly unique headboard. You are able to choose if you would like your headboard wall mounted or on struts. Our custom made packaging allows us to deliver all over the UK. All headboards are delivered within 14 working days, while our express options mean you could have your headboard in as little as 3 to 7 days. We use UK sourced fabrics and make the headboards on site in the UK. We have a large range of upholstery fabrics to choose from – over 200 in fact. What’s more, you can see and feel the quality of our fabrics for yourself by requesting a swatch for free. We manufacture cushions, bed valances and upholstered bed frames with the same range of fabrics, allowing you to achieve a unified, stylish look in the bedroom. Can’t find a fabric that’s quite right? That’s not a problem – we can manufacture headboards with any material you supply us with. Alternatively send us a picture of the colour or fabric you like and we may be able to source it for you. 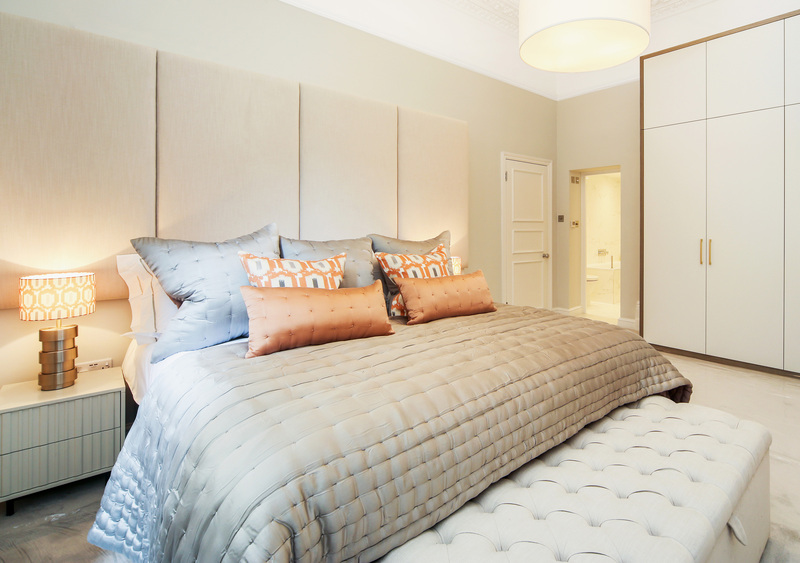 We supply trade quality headboards to the domestic market, meaning you can be assured of a high quality product that meets strict national safety regulations.